Miami University Regionals uses a variety of placement tests to help ensure that students are enrolled in classes they are prepared to take. The placement tests you take are determined by your student type.If you are a student with physical, medical, neurological, psychiatric or specific learning disabilities (including AD(H)D), or a student with a spectrum disorder and feel that you may need a reasonable accommodation to complete the required placement testing, please contact the Testing Coordinator at 513-727-3440 Please remember, this is not a timed test. You may take as long as you need to complete the test. Beginning spring semester 2017, the ACT is required for all incoming students who have graduated from high school within the previous two years. 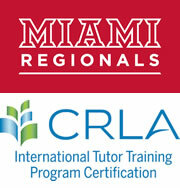 If you have graduated from high school within two years previous to beginning at Miami Regionals but have not yet taken the ACT, Miami Regionals can proctor a Residual ACT for you, but the scores will only be used at Miami Regionals (you cannot use those ACT scores for any other college or university admittance). If you are a new student at Miami Regionals but have been out of high school for more than two years, you may submit ACT scores, or you may take the ACCUPLACER tests. College Credit Plus (CCP) students must submit ACT scores as part of the admission process. Update: CCP students without ACT scores or with scores that do not meet the Ohio Department of Education remediation-free standards, may take the ACCUPLACER one time in order to show college readiness. If the ACCUPLACER scores do not show college readiness, then the only way to show college readiness for entrance into the CCP program is by ACT scores. Transfer students without math credit, or with math credit that does not exactly match a math course at Miami University, must take the ACCUPLACER Math Test.